While on tour alongside The LOX, the Griselda Gang and Statik Selektah this fall, Smoke DZA chose to partake in his own challenge, dropping a new off-the-top freestyle during each date of the tour. Although he certainly has kept his fans happy with the new loosies, the rapper wasn't about to ignore yet another challenge to deliver a new mixtape. After a fan tweeted hopefully asking about the prospect of a new mixtape, DZA responded saying, "Gimme a day or 2." The New York native has today (Nov. 3) made nice on his promise, teaming up with DJ Whoo Kid to deliver a new mixtape, Cuz I Felt Like It Again. The project features some of the freestyles he recorded on tour, as well as brand new tracks and a couple new collaborations, tapping Royce Da 5'9, Cozz, Big K.R.I.T. and more for guest features. 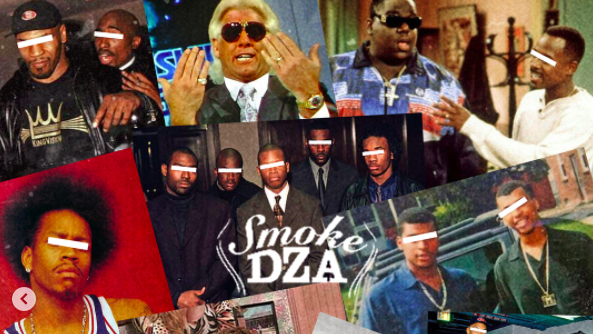 Cuz I Felt Like It Again is DZA's second project this year, following Ringside 5 alongside producer 183rd. Stream Cuz I Felt Like It Again below.